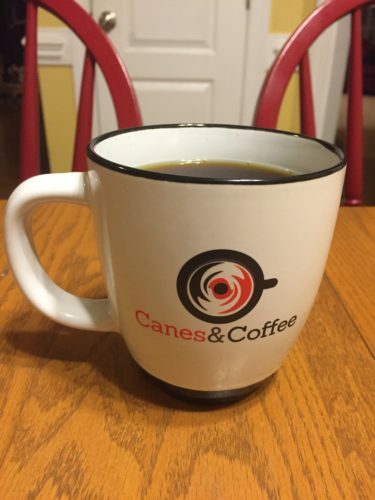 If you appreciated the near daily Hurricanes hockey during the offseason and an even faster pace during the regular season, we ask you to please help our cause by purchasing a Canes and Coffee coffee cup. 1) Simply make a donation to our “Coffee Fund” via credit card and/PayPal for $17.50 if outside of North Carolina or $18.75 if inside North Carolina (includes sales tax), and include your address in the notes or a separate email, and we will get a cup in the mail. The link to do so is here. 2) If you are local to Raleigh, you can purchase a Canes and Coffee Cup for the same price from coffee food truck Tenco and help a small local business in the process. $17.50 nets you a Canes and Coffee cup AND a free cup of coffee (we pay our delivery fee to Tenco instead of USPS in this case and support a local business in the process). Tenco’s web site with upcoming schedule is HERE. So to provide a balanced viewpoint, I will lean strongly positive today and offer a list of things that I like about the state of the 2017-18 Carolina Hurricanes through four games. Important to note is that this is not a contrived viewpoint. Though I do think the team is a work in progress (which is normal for mid-October), think the positives so far outweigh the negatives. For a team with a long run of playoff misses and with a recent history of digging a big hold before the start of December, enough cannot be said about the importance of getting out of the gate successfully. Through four games, the Hurricanes are in fact playing at a playoff pace. He just keeps getting better. After a pair of losses, I was hoping for a sense of urgency on Tuesday and for some key players to rise up. Jordan Staal, Teuvo Teravainen, Brett Pesce and Cam Ward also had strong games, but despite their strong efforts and contributions in the win, Jaccob Slavin takes top honors for playing an incredible game and leading the way to a win. I was not high on Scott Darling’s play in the season opener, but since then the goaltending tandem has reeled off three straight strong starts. Darling was solid in his second and third starts, and Cam Ward was really good on Tuesday and helped intermittent scoring be enough for a win on a night when the Hurricanes really were not great other than putting the puck in the net. Bill Peters has quickly learned to trust the fourth line with important minutes. He was not uncomfortable icing the fourth line coming out of a power play and seemed fine with playing them against Connor McDavid’s line. On Tuesday Nordstrom/Kruger/Jooris had a couple textbook shifts playing a cycling, puck possession game on the walls in the offensive zone keeping Edmonton’s scorers busy grinding away 180-200 feet away from scoring chances. His play has been a bit up and down, but what stands out to me with Hanifin’s play is his assertiveness with and without the puck. He is playing a more aggressive brand of hockey in terms of trying to take away time and space defensively and in terms of pushing the puck up the ice and also joining the rush offensively. Though it will undoubtedly come with some mistakes, the style of play trumps passive every day of the week in a league where giving skilled players time and space is the kiss of death regardless of positioning or anything else. Fleury has not been perfect by any means. He has actually had a few rough shifts in the couple games since Trevor van Riemsdyk exited the lineup due to injury. But Fleury has in no way looked overmatched physically and has not looked flustered under pressure. He should only get better as the season wears on, and his starting point is already promising. I am on record as thinking that Martin Necas’ game on Tuesday will likely prove to be the beginning of the end of his time at the NHL level in 2017-18. But even if I am correct and he departs, the Hurricanes are suddenly much deeper at the forward position. When Lee Stempniak returns, the Hurricanes would be at 14 NHL forwards even minus Necas. And a couple of the players likely near the call up list in the AHL are off to hot starts. Yesterday’s ‘Checking In’ has details. The day is coming when AHL call ups have the potential to spark the lineup which is a tremendous boost from very recently when the hope was simply was that they would not be in over their head in as little action as possible. What other positives did I miss? I’m just happy you didn’t bury the lead in #1, which is clearly the #1: 5 of 8 possible points, with all points earned in games that in years past could have resulted in 0 points. 9/ The balance on offense, and that Skinner, Aho, Staal, or JWilliams haven’t really gotten rolling yet. 10/ Faulk is off to a much faster start than in years past even though he hasn’t scored. He’s rising to the challenge of his letter. There are a lot of teams in the NHL who’s offense rides heavily on a single player or line. Knowing that they’ll be seeing mostly slavin, and if something goes wrong in matching them up, Faulk/Hanifin, is really going to make the Canes a tough team to beat.